3G4G Small Cells Blog: Is Wi-Fi the third RAN? 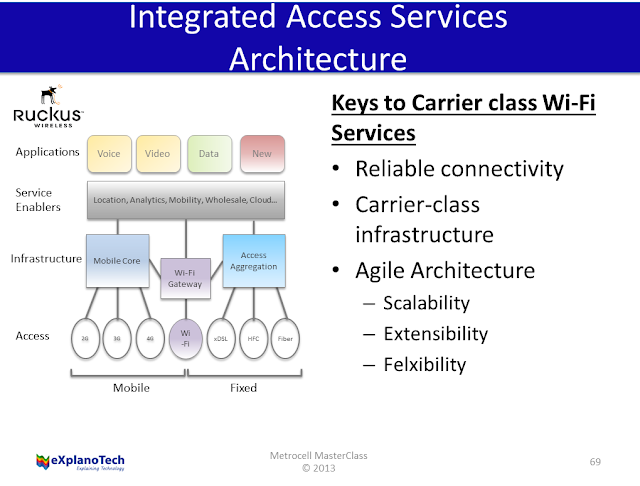 Most Metrocells trials that happened in the UK in 2012 and a few planned this year used Wi-Fi as the access technology. In the 3G4G blog I posted real life pictures from the Telefonica deployment. These small cells were using Wi-Fi as the access technology. The service providers are using WiFi for 'lamp/land grab' with the expectation that some of the sites would be replaced by LTE/HSPA Metrocells. While some of these sites may start using the cellular technology, some of them will remain WiFi only. Also, the ones that use Cellular technology may still provide WiFi as an access technology, using Multimode Metrocells. We have to agree that Wi-Fi does solve the problem of Capacity crunch and when more users offload onto the WiFi, it can help improve coverage. With Carrier Wi-Fi being touted as the next big thing, would it live up to the expectations and the hype? Ruckus wireless have couple o interesting blog posts on this topic and I would advice anyone who is interested in this area to read them. They are available here and here. They also have an excellent whitepaper on Hotspot 2.0 that is available to view and download here.